The month of the financial literacy is April which is almost there. Therefore it is necessary to prepare and revise the things that we know about financial literacy. Furthermore, it is an excellent opportunity to learn more or even teach someone about financial literacy skills.In this activity, you can use different games which would make the learning process more interesting and entertaining. It is known that games can be a nice distraction from real life, but what if they can help you learn something about it? There are many games which can be used as both “hook” and instructional activity, which would help kids understand and revise their knowledge about the financial world. Therefore, it is also necessary to know that games can benefit the learning process in many ways and also provide context for application of learned content. Furthermore, sometimes these games can also be an excellent assessment tool. 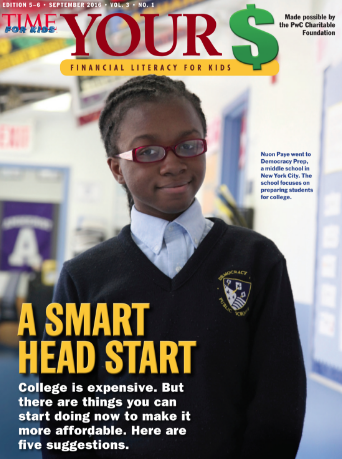 Edutopia member Brian Page who can be found on Twitter under the name @FinEdChat has been advocating financial literacy education for so long. He also believes that there are various innovative ways for students to engage in this process. In 2011 he was the Milken National Educator recipient in Ohio, as well as the co-creator of an EIFLE award-winning financial education game of the year, called Awesome Island Game. Moreover, Brian is also a Money Hero by Money magazine. He has a huge database of different games which can help teach financial literacy skills to students of all ages. Also, every game is associated with universally accepted personal finance national standards. Even though his database is massive, Brian has selected his favorites and thoroughly explained how to use them intentionally in classroom instruction. Even though there are many great instructional games, we chose only three to present, but feel free to explore more in order to make financial learning skills more attractive and inviting. Brian claims that the Bite Club is an excellent game-based learning day alternative and anchor activity, which proved to be particularly interesting for female students. He also recommends this game for high school age students. Gen i Revolution is the game developed for both middle school and high school students. It is managed by the Council for Economic Education. This game provides students with an opportunity to compete against each other while also learning some of the most important personal finance skills. The game includes fifteen financial rescue missions as well as 21 lessons which correlate with these missions. These lessons also add value to the game, but they are not crucial for the engaging learning experience. Brian says that this is probably the best game for middle school students who will be thrilled to learn this way. Financial Football is also one of the games which Brian Page suggests. For example, this is the type of game which would be more appealing to the male, but also some female students. It is a fast-paced, interactive game which allows students to engage in different activities while teaching them about money management skills. Football teams in this game compete by answering financial questions in order to earn yardage and score touchdowns. These questions are mostly scenario-based, which is a suitable option for the coursework. Therefore, it is equally helpful and good for elementary, middle and high school students. Furthermore, it is important to mention that Financial Football also has both iPad and iPhone applications. Brian claims that it is an excellent learning tool, especially in a tournament format.